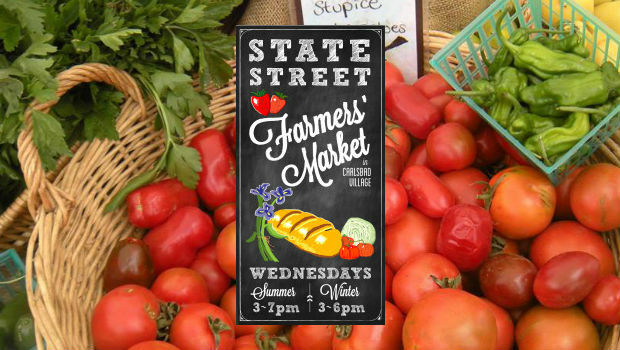 Carlsbad Farmers Market on State Street - Freshen Up Your Week! No one can deny that living in Carlsbad is both a joy and a privilege. 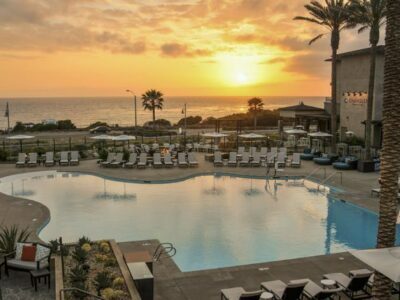 From seven miles of uninterrupted beaches to the famous Flower Fields, lagoons, hiking trails, shopping outlets, public art, and golfing, Carlsbad boasts some of the best Southern California has to offer. The community of Carlsbad – the people that live and work there – are what make it truly wonderful. 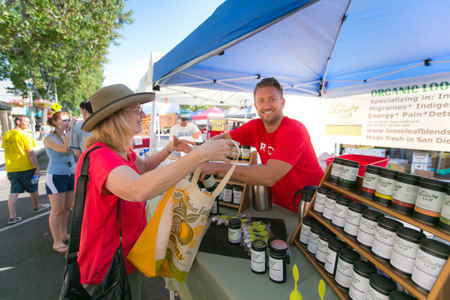 These very same people, and the land that define North County’s best beach town are at the core at what makes the weekly Carlsbad Village Farmers Market something that can’t be missed. 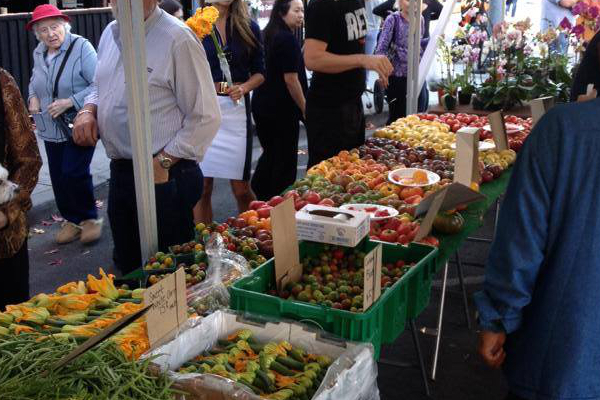 Nowadays, farmers’ markets are popping up everywhere. While large grocery store chains offer variety, they do not provide the confidence of knowing where their products originated. The State Street Farmers’ Market in Carlsbad Village carries with it over twenty years of local vendors offering products from the city’s landscape that visitors can take pride in purchasing. The market itself is slightly smaller than some of its counterparts in neighboring cities, but the size is one of the elements that contribute to its intimacy and allure. The Wednesday time slot allows families to shake up weekly routines. With live music and a great location, the market is an easily accessible event that allows visitors and residents the ability to venture out and meet neighbors, shop, eat and learn about the community – all while checking groceries off the list. Locally sourced produce is front and center from the moment you walk in. Aromas of spice and freshly baked goods will often greet you as you venture from one vendor to the next. Whether you are on the lookout for household staples like eggs and bacon, or searching for just the right ingredient for a special dish, vendors like Da-Le Ranch and JR Organics will have just what you’re looking for. With over twenty farmers sharing their craft, shopping for food is more than just a purchase. It is an opportunity to take part in the work that goes into yielding the healthy crops that are unique to the Carlsbad ecosystem. For those who prefer pre-assembled meals, there is everything from authentic Indian at Masala Cottage to eye-opening Karne Asada Tacos at Anthem Vegan. Prepared food vendors come equipped to feed the family while shopping. The market is also one of the few places where skipping straight to dessert is a justifiable option. Vendors like Al’s Fudge and Vonda Lee’s California Cheesecakes in a Cup are a few of the many gems that will have visitors wanting to jump straight to the last course and bring home extras for a late-night snack. Beyond the produce, local artisans are stationed throughout offering everything from body soaps to hand crafted cutting boards. Vendors have devoted their time to crafting products that are both free of harmful chemicals and unique to Carlsbad. Custom jewelry, soy candles and hand knitted caps are just a few of the things that can be found amidst the rows of tents that line the street. Whether you’re in town visiting or have lived in Carlsbad for years, cast aside the routine trip to the grocery store and head over to the State Street Farmers’ Market in downtown Carlsbad Village. Not only will you leave with fresh, locally-sourced produce that tastes amazing, you will get to interact with neighbors you never knew you had and learn about all of the amazing fruits, vegetables, meats, art, and custom products the town is capable of producing. Open Wednesdays from 3 p.m. – 7 p.m.
Winter Hour – Wednesdays from 3 p.m. – 6 p.m.